Discover the Bulgarian hospitality, behold the stunning mountainous landscapes, its medieval towns, its capital Sofia and its emblematic Cathedral,the Rose essences and the beaches of the Black Sea. 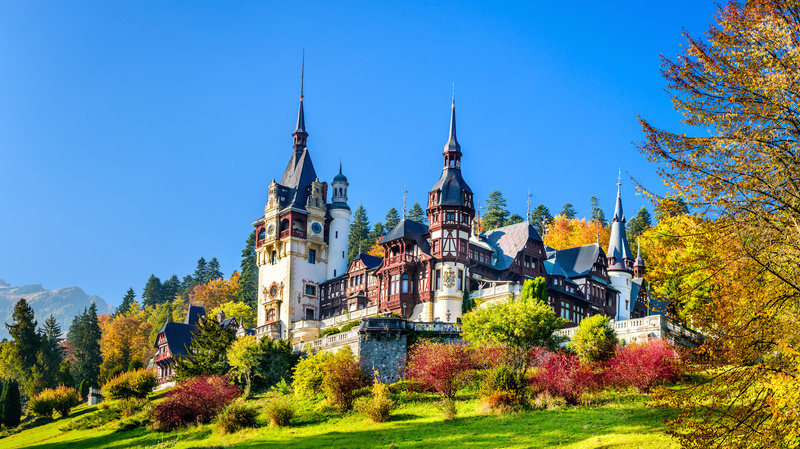 Discover legends and traditions of Romania, Dracula shade in Transylvania, Bucharest and its gigantic Palace of Parliament or the wilds of the East crossed by the Danube. Start your journey through Western Bulgaria and the capital Sofia with its museums and art galleries, then explore the Roman remains of Plovdiv, Veliko Tarnovo fortress and its fantastic panorama. Continue to Romania with Bucharest and the Palace of Parliament, witness to the megalomania of Ceausescu, high mountains and Gothic castles of Transylvania.